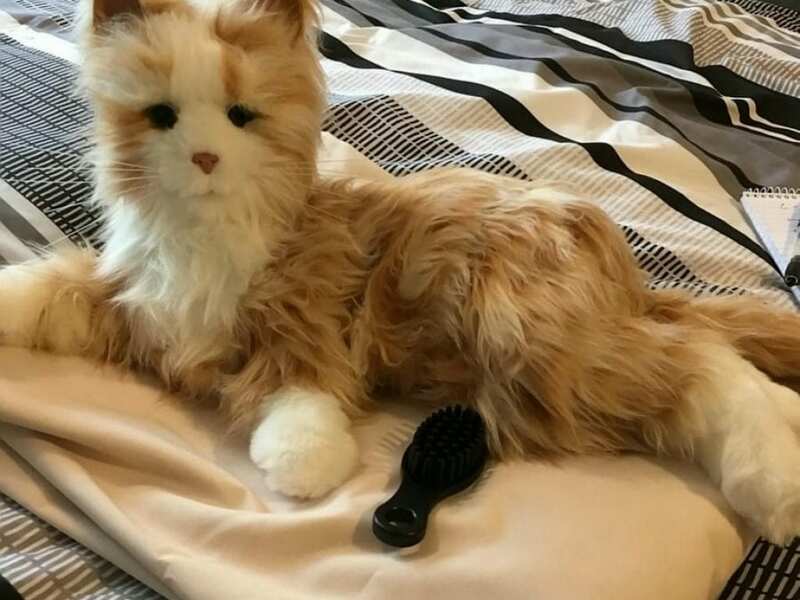 Carers at an old folks’ home are helping elderly residents fight loneliness – with these cat and dog ROBOTS. 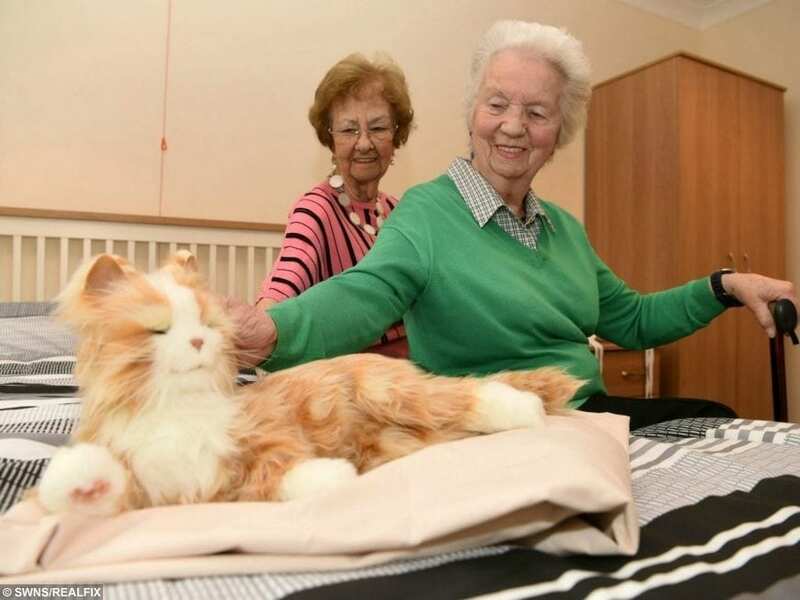 The furry robotic pets – Lucy and Hasbro – have been brought in to give the OAPs some company. at St Oswald’s retirement village in Gloucester. Lucy, a ginger cat with fur, can lie lies on its back to have her tummy rubbed while Hasbro a Golden Retriever wags his tail when stroked. 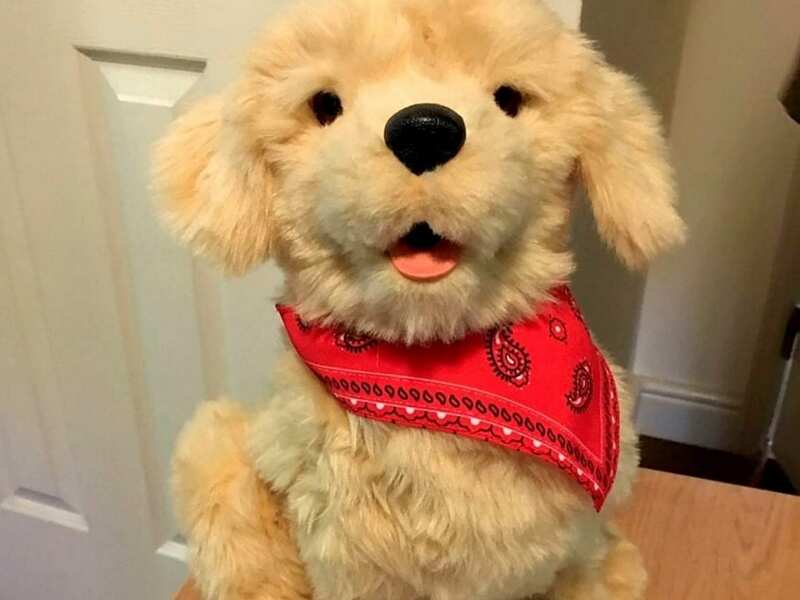 The robot animals are used to reduce anxiety and build confidence for those living alone. They are among some of the equipment Gloucestershire County Council put on show to take its elderly care service into the next decade. The council, which runs adult social care services in the county, has kitted out an apartment in the retirement village with the latest technology to combat loneliness. Leader of the county council Mark Hawthorne said: ”We’re able to show how this technology is helping us do our job today, and how it can help us do more in the future. “Technology has increased on leaps and bounds. Think about where we will be in the next 10 years. ”That dog in the corner won’t just be barking, it will be following you around your home and picking up your slippers.